Andalucia is one of the most popular destinations in Spain, due to its amazing beaches, warm climate and relaxed atmosphere. The region is home to many ancient cities, including Seville, Cadiz and Granada. Although the region was first settled thousands of years ago, there are plenty of new attractions to keep you occupied. 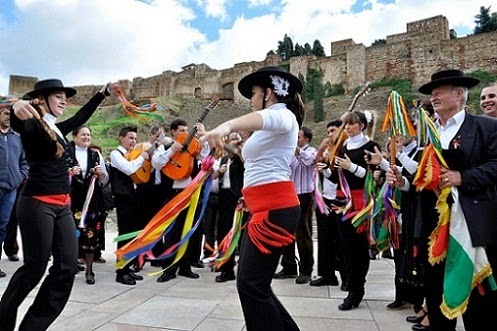 There are numerous annual festivals or ferias that are held throughout this region. These festivals are a great way to get a true sample of the culture of Andalucia, from its regional cuisine to the spirit of its people. Fiesta de Los Reyes - The Festival of the Three Kings. In all major cities in Andalucia, this festival is celebrated on the evening of January 5th. It is designed to commemorate the three kings of the Orient who delivered their gifts to the Christ Child. The next day, January 6th is a national holiday throughout Spain, which will give you plenty of time to relax and enjoy the events happening around you. Held in the ancient city of Cadiz, this festival occurs each year on Shrove Tuesday, or the Tuesday before Lent begins. A huge parade is held during the Carnival and the entire city gets in on the action. 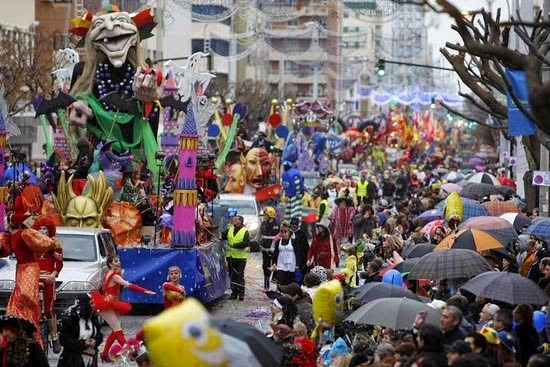 If you think the carnival in New Orleans is fun, you haven't seen anything until you've visited Cadiz. Seville Spring Fair - This festival is held two weeks after Easter. The entire far bank of the Real de la Feria is taken over by enormous tents and pavilions where you'll find incredible bargains, great food and entertainment. The festivities start on midnight and continue for an entire week. As with the Cardiz Carnival, the dates of Easter change every year, so plan your trip accordingly. During the third week in May, in San Lucar de Barrameda you'll find the San Lucar Manzanilla Festival which is dedicated entirely to a type of wine that is produced in this region. Prepare for a lot of fun and a lot of celebration of this wine for an entire week. Every town in Andalucia has its own summer fair, so if you time it just right, you can experience at least one fair each week of your stay. 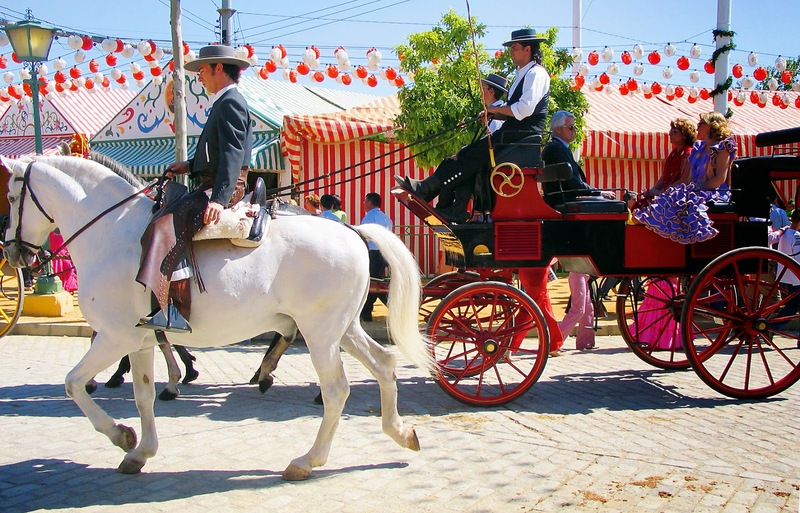 The first fair starts in Seville in April and the last is held at San Pedro de Alcántara in October.The fairs are divided into day and night fairs. For the entire week of the fair, all businesses are shut down and the streets are turned into cafes where you can sample the regions best food and listen to live entertainment. At night, small amusement parks are set up complete with rides and more singing and entertainment. These fairs are usually set up to coincide with the Summer fairs mentioned above in each city. In Ronda, they hold a very special bullfight where all of the fighters are clothed in costumes found in Goya's 18th century engravings. To round out a year filled with festivals and fun, you must visit the Verdiales Music Festival, which is held annually on the 28th of December in "Puerta de la Torre" which is near Almogia. Local musicians compete dressed in traditional costume and the wine is plentiful.